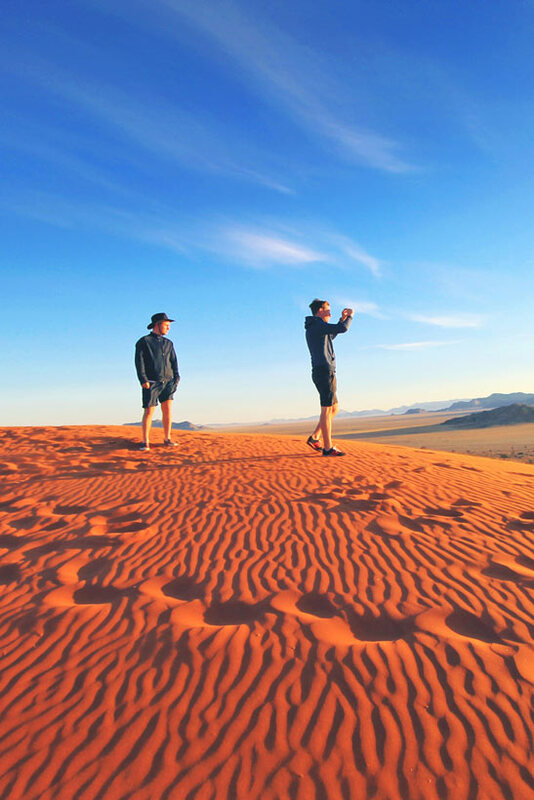 Red colored sand dunes, a diversity of wildlife and endless horizons... Namibia's unique landscapes will make you feel like you landed on a different planet. Where is Namibia you're asking? Fair question. There is not much tourism in Namibia yet, only about one million people travel to Namibia per year. If you're looking for a travel destination that's not overrun by mass tourism, then Namibia might be an excellent choice. Namibia is in Africa, located along the south-west coast, just above South Africa. 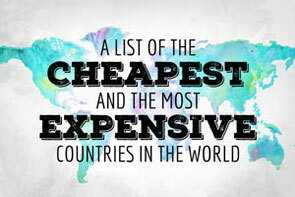 It's a large, but sparsely populated country, in fact it's the second least densely populated country on this planet. Only two million people live in Namibia, but the country is twice the size of Germany. And speaking of Germany, Namibia used to be a German colony, until it became independent 25 years ago. Now you know. 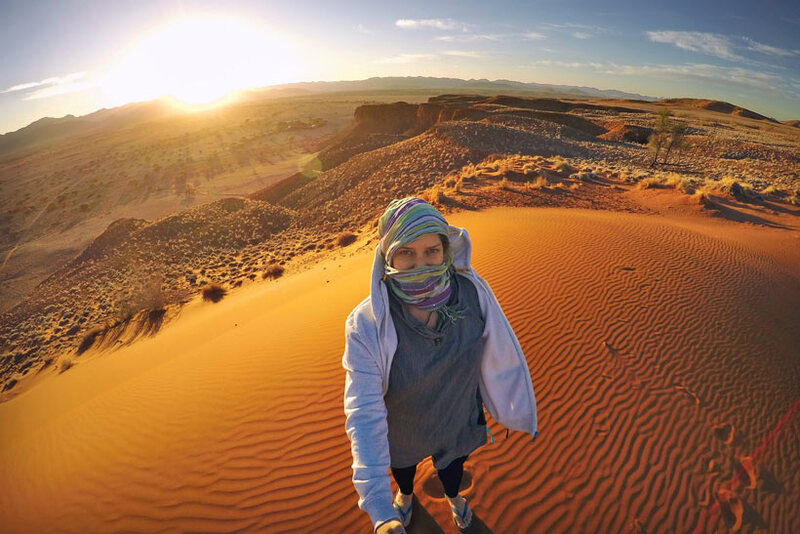 When I visited South Africa last year, loads of people were telling me that I should go to Namibia if I would like to see something completely different. 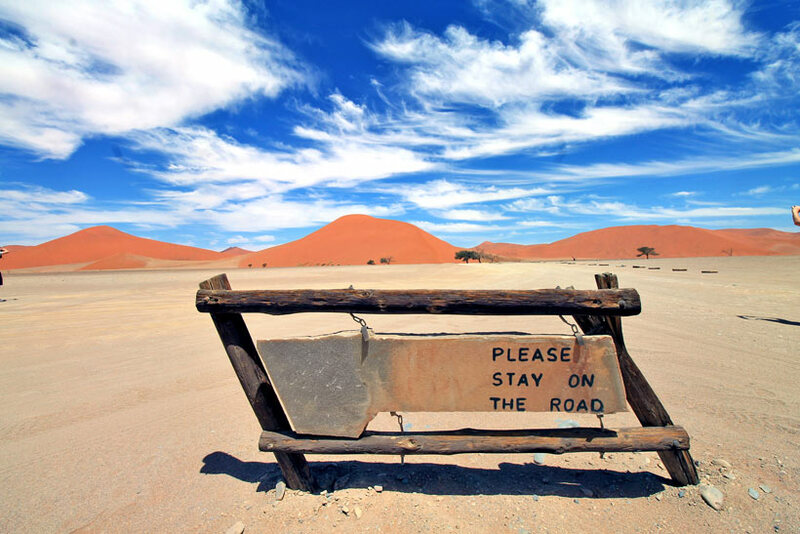 Many travelers I met in South Africa claimed that Namibia was their favorite country. Frankly, that made me quite curious. I remember how I went online, searching for Namibia on Google images – to see how it looks like. In one word: Surreal. I was in awe. Imagine endless horizons with red colored sand dunes. I haven't seen anything like that before, for me this was completely out of this world. This year on September 28th, Qatar Airways introduced their new route, Doha to Windhoek, 4 times a week. 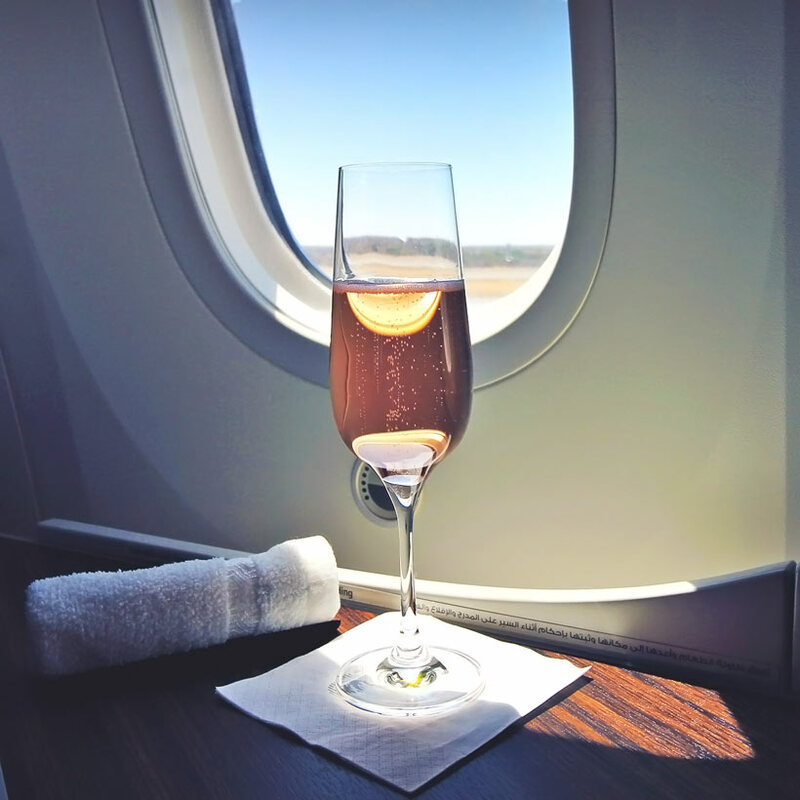 I was thrilled to join on their inaugural flight to Namibia and experience Qatar Airways' hospitality firsthand. 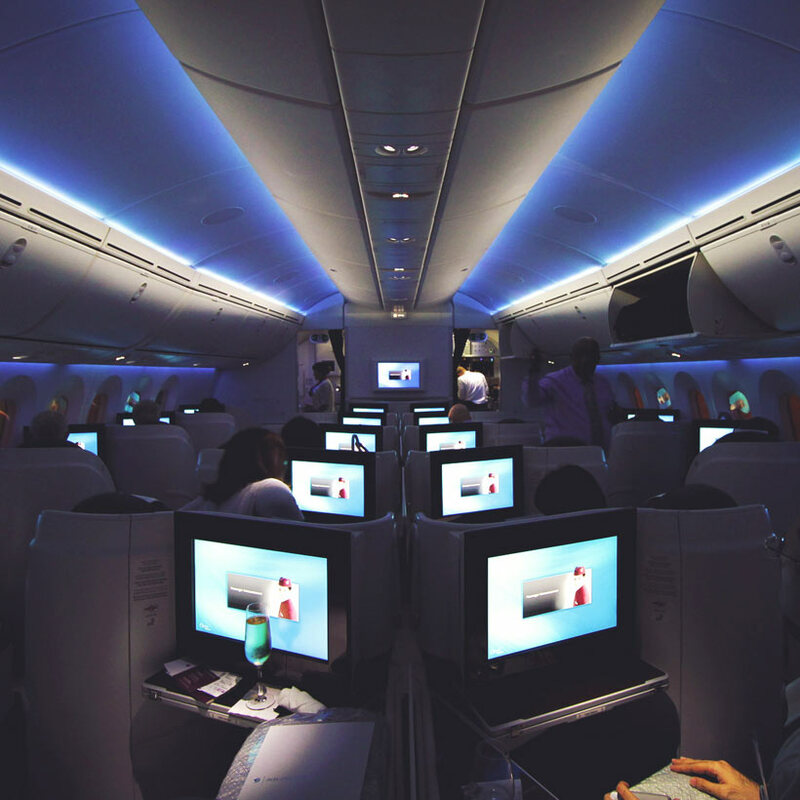 It was also the first time for me to fly with the new Dreamliner (Boeing 787), it's such a beautifully designed airplane that feels very spacious inside. The windows are larger than in other airplanes, bringing more natural light, but also offering endless views above the clouds. If you want to sleep, you can dim your window at the push of a button. Here are a few images from the flight with Qatar Airways from Doha to Windhoek... Click to enlarge. 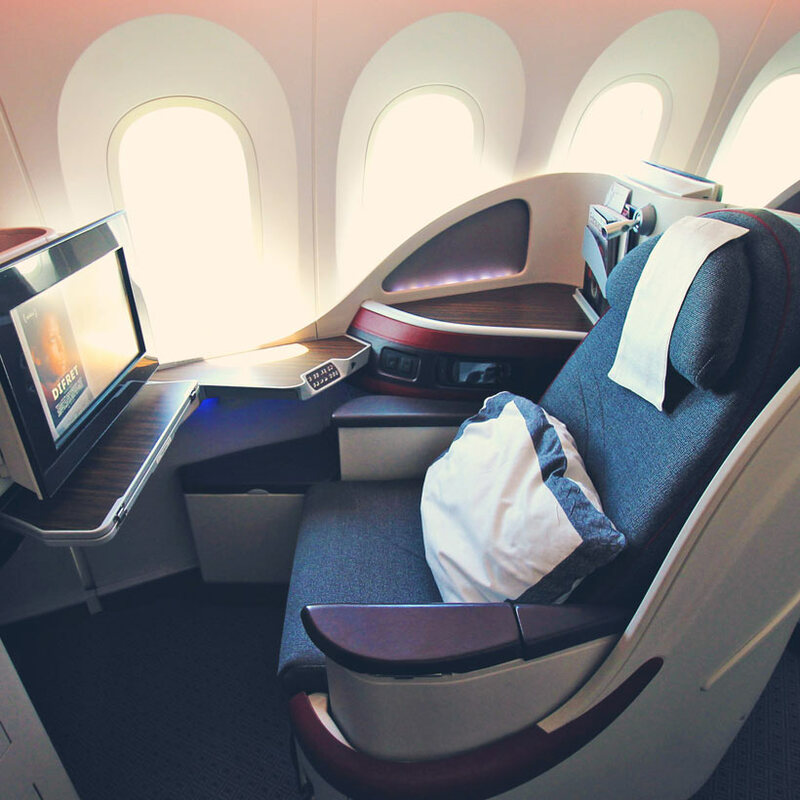 I was fortunate to fly business class, which is an experience in itself. The 22 inch wide seats provide a lot of privacy, including a storage for your personal items, power sockets and a side table. If you get tired, you can turn your seat into a flat bed within seconds. 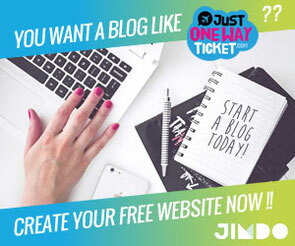 I've flown with Qatar Airways long time before they approached me as a blogger. 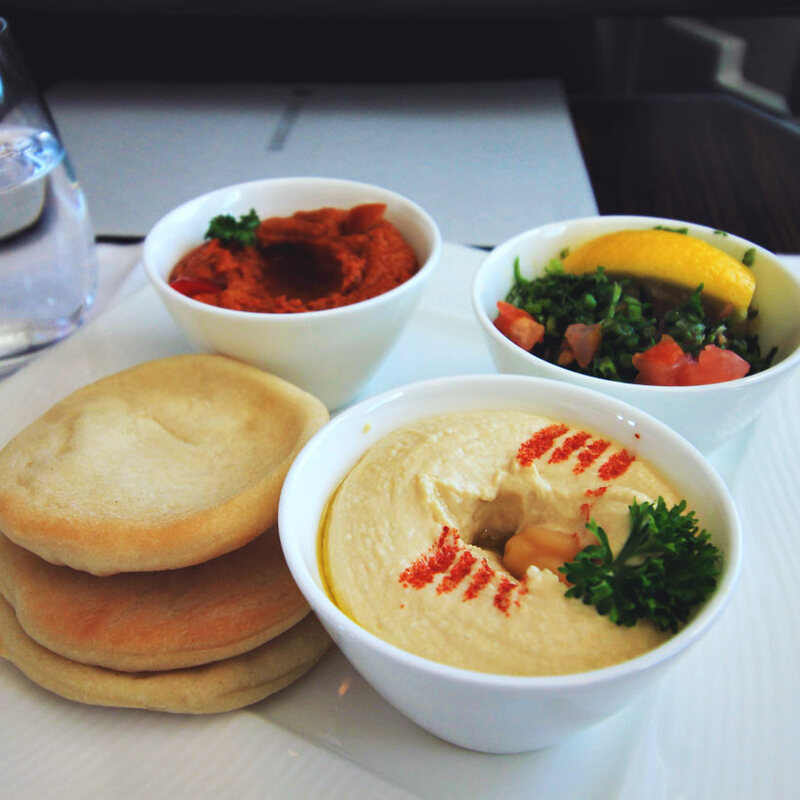 They've been one of my favorite airlines, for many reasons: The most friendly and attentive staff on-board, offering an excellent selection of drinks and meals and an incredible entertainment system with more than 3000 options to choose from. 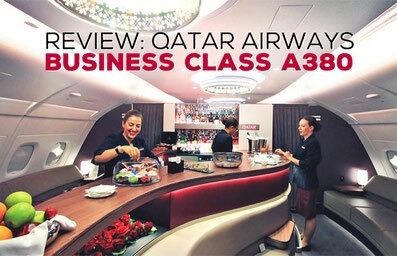 Flying with Qatar Airways is always a pleasure. 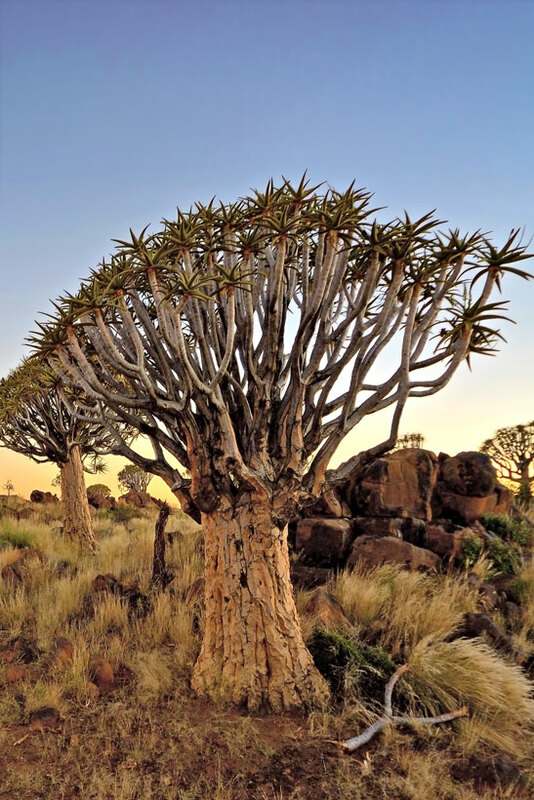 Why visit Namibia? 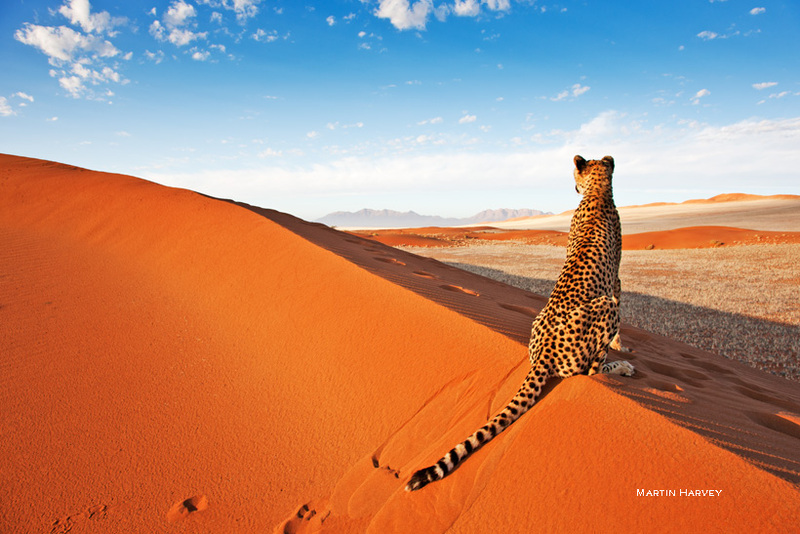 Namibia features some of the most spectacular landscapes on the African continent. I believe the country will fascinate anyone who is into serene places and landscapes of infinite vastness. 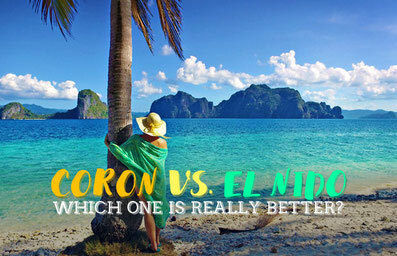 The country offers plenty of adventurous things to do, but also a deep cultural experience. Namibia's unique landscapes will make you feel like you landed on another planet. This is one of the very few places in the world where you can find your peace of mind and connect with the nature. 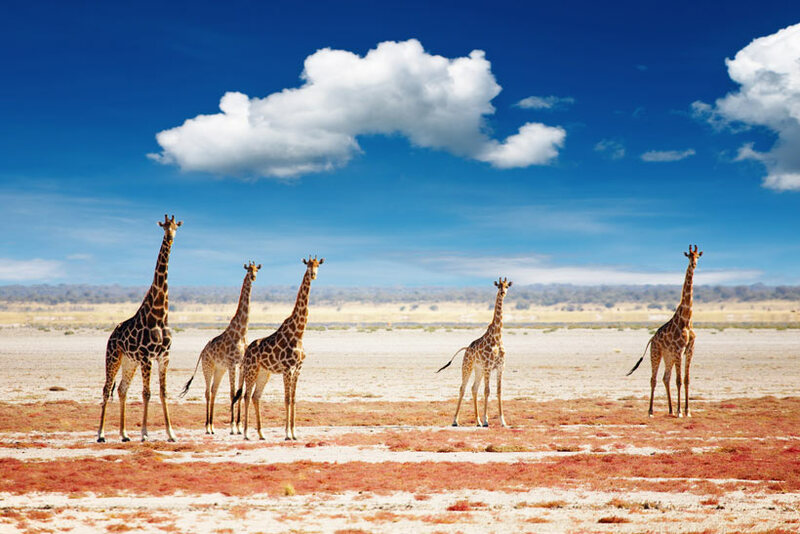 The Kalahari Desert offers magnificent views for travelers: Red dunes, golden grass, bizarre trees and deep blue skies, combined with an abundant animal life, including zebras, giraffes, oryx, ostriches and many more. This vast wasteland is home to thousands of species of plant and animal life. It even supports the ancient lifestyle of resident tribes, such as the Bushmen. Even within this dry, apparently inhospitable ecosystem, the beauty of traditional life flourishes alongside the life cycles of the wild animals. 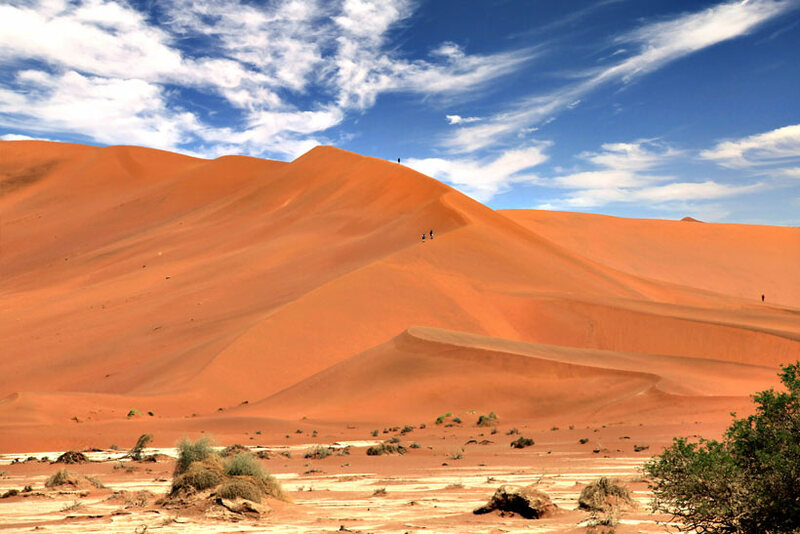 Sossusvlei is the entry point for exploring the spectacular Namib Desert. 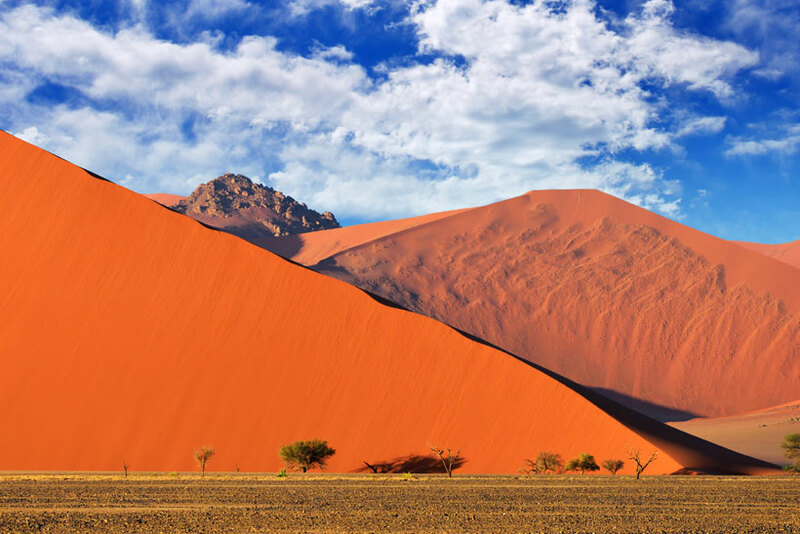 A sea of red sand stretches across the Namib Desert, brilliant in bright oranges and shadowed indigo. The dunes are dry most of the time, but once or twice a decade the Tsauchab River winds through the dunes and disappears into the endless sand below. 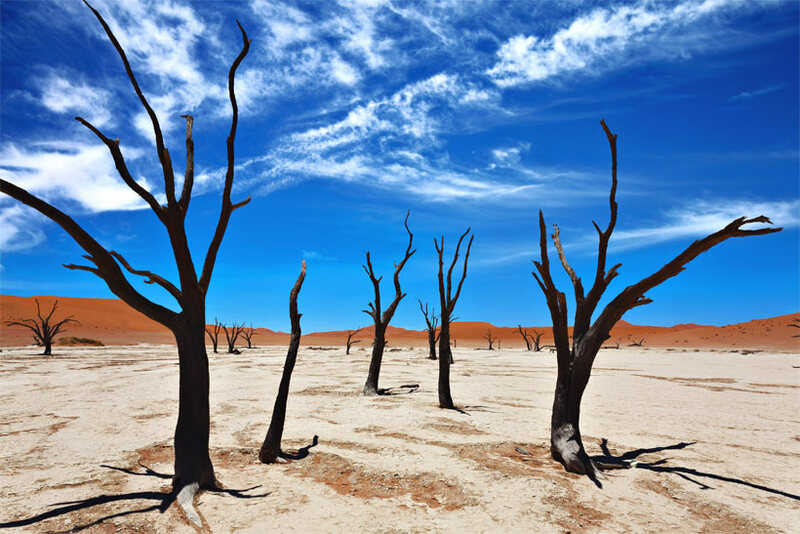 The surrealistic Deadvlei in Sossusvlei is a gigantic clay pan with ancient trees, surrounded by the world's tallest dunes. 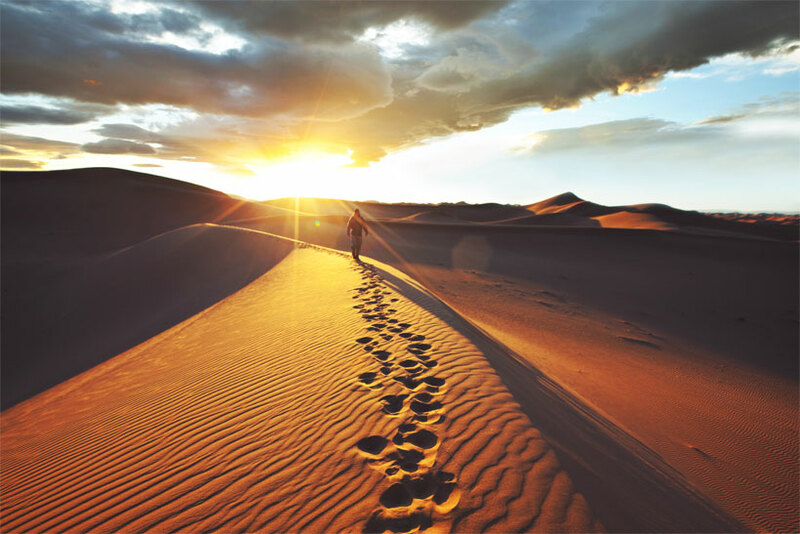 If you can bear the heat, climb up the dunes, but make sure to bring enough water, and don't go up alone. Once you make it up there, you'll see an endless horizon with red colored dunes. 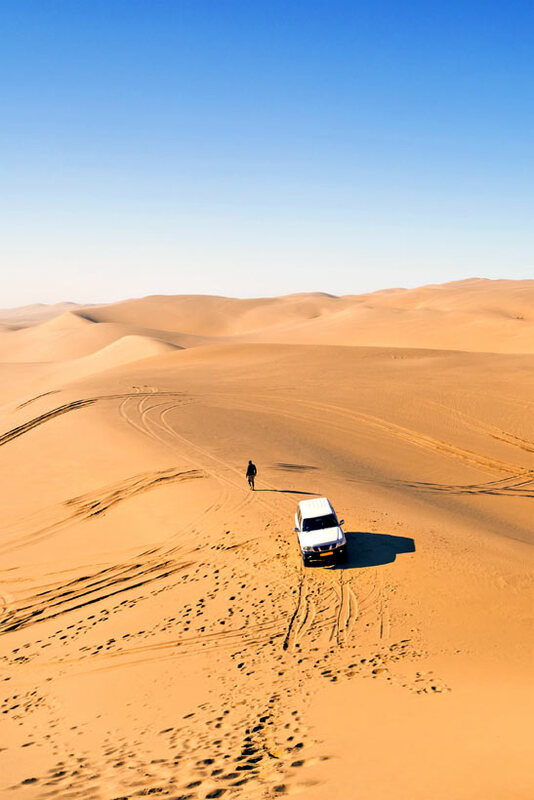 The barren romance of the dunes is accented by the occasional herd of gemsbok or ostrich, whose sandy footprints are quickly swept away by the restless desert winds. The wind changes constantly the shape of the desert landscape. It's truly an amazing place for photographers and certainly the most popular sight in Namibia. Come early in the morning to catch the golden hour. There’s no other Namibian city like Swakopmund! The town’s German architecture and vibes are rather unexpected in such stark desert surroundings, but somehow it works. Swakopmund is a popular beach destination for Namibians. 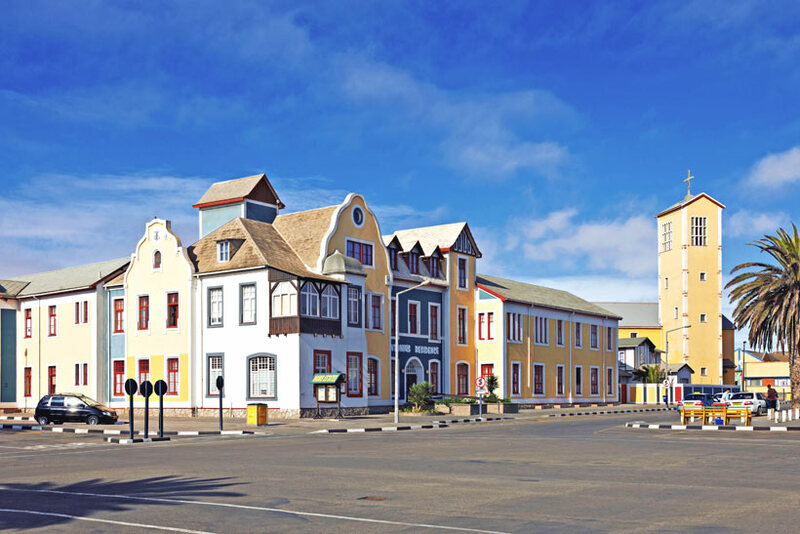 Although Swakopmund seems like a quiet town, there are actually many interesting things to do and places to visit. 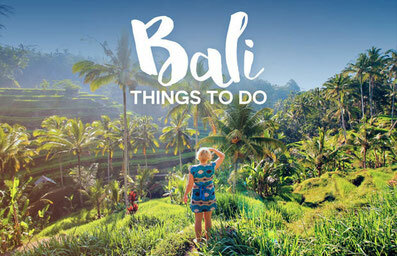 Take a walk and visit the museums, go shopping at the art markets and try some of the excellent seafood restaurants. 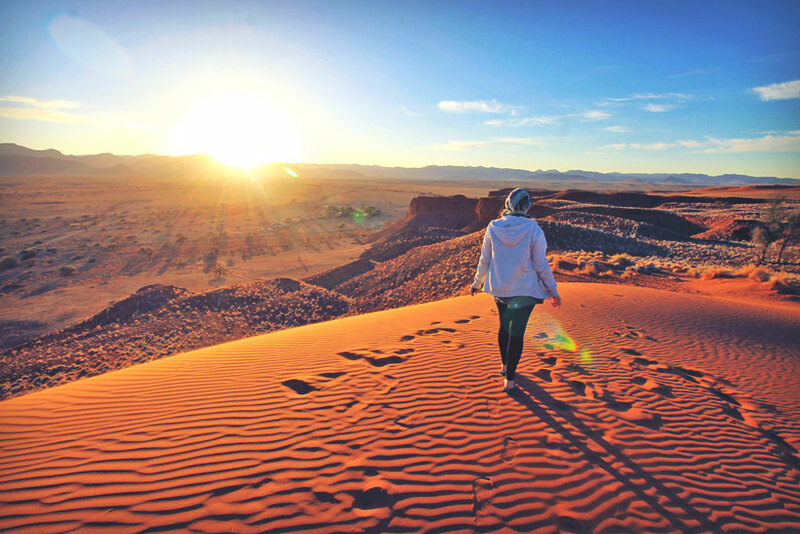 If you're up for some adventurous activities, you can find dune boarding, surfing, hot air balloon trips, elephant excursions, and camel riding opportunities. On my last day I met up with Yana from Strandloopertjies. We rented ATVs and drove through the desert, which was a lot of fun. 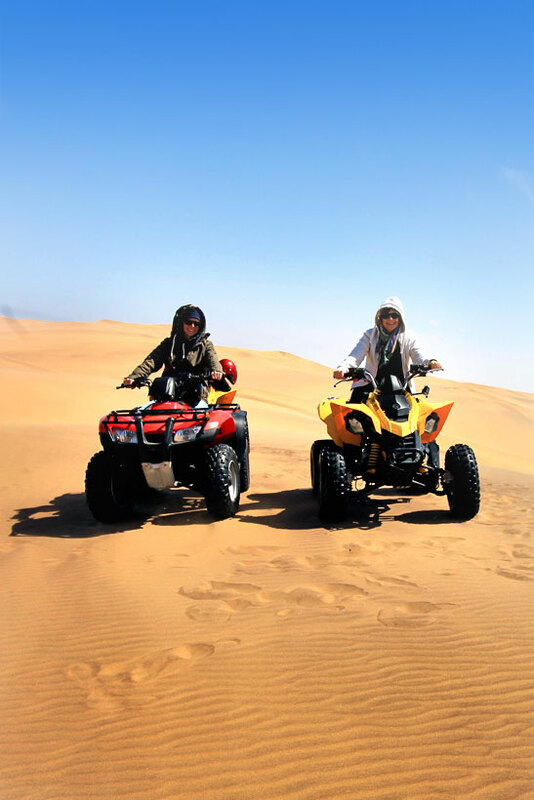 Thank you Yana, the ATV ride was definitely one of my favorite things to do in Namibia! Kolmanskop is as eerie a place as they come. It's a ghost town in the middle of the Namib Desert, near the town of Lüderitz. Once you get there, you'll see homes filled with drifts of sand, glassless windows staring out at the vast desert like blind eyes. 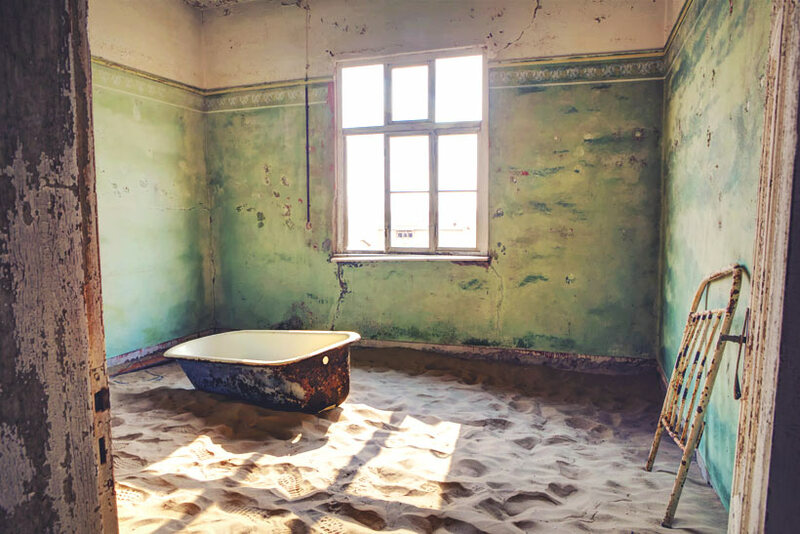 Kolmanskop was once a bustling town with everything from theaters to sports complexes, but after a crash in their diamond-mining industry, the entire town packed up and left. The place was abandoned for a long time (since 1954), until it became a tourist attraction. Nowadays, you can visit Kolmanskop, see what’s left of the town, and walk through the abandoned houses which are knee-deep filled with sand. 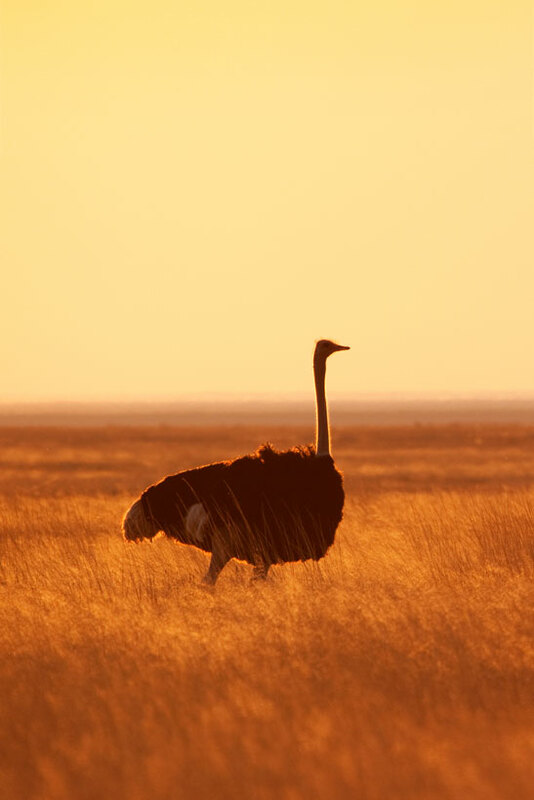 Etosha is one of Africa's greatest game reserves and the best place in Namibia to witness wildlife. 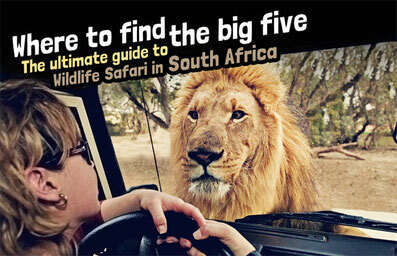 Don't miss this National Park, because this is a true African safari experience. 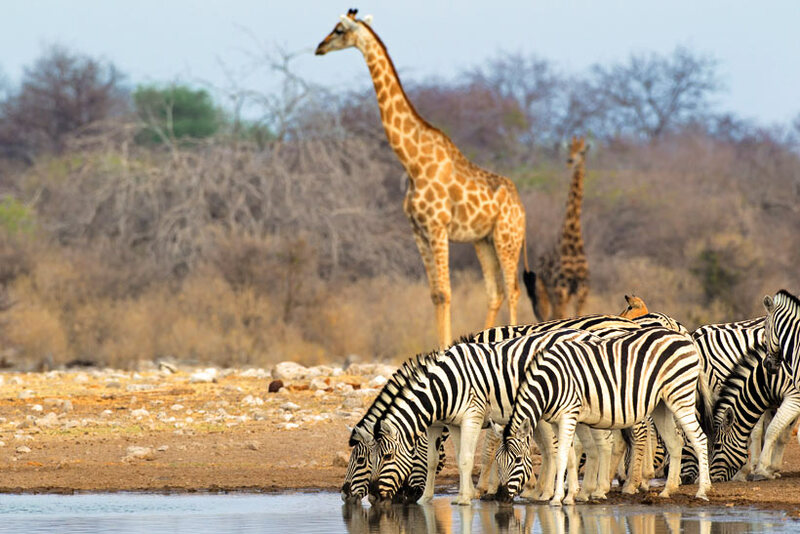 The beauty of African national parks is that you almost always have the opportunity to see some of Africa’s Big Five wildlife: lions, elephants, rhinos, buffalos, and leopards. At Etosha, you just may get to see all five! 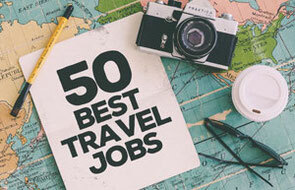 But not only those, most likely you'll also see cheetahs, flamingos, hyenas, wildebeest, antelopes, giraffes, zebras and hundreds of bird species. 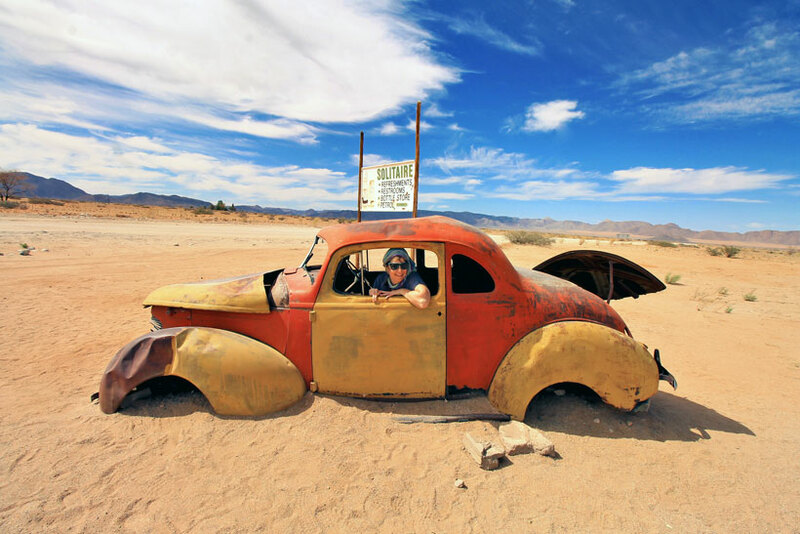 You can drive through the park by car, but make sure to get familiar with all the rules! These are wild animals and you should be very cautious. Bring your camera and binoculars to get unforgettable shots and glimpses of the exotic wildlife. At night, you can stay the park in one of three camps that are set up for tourists. Be sure to visit the park’s watering holes, where all kinds of animals gather to hydrate. I spent the first night after my arrival at the fabulous Hilton Windhoek Hotel, which was just perfect to relax after a long flight. The hotel has a fantastic rooftop bar and pool. Plenty of breakfast choices. Only the internet was a bit slow. 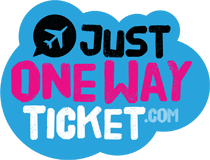 The hotel is conveniently located near most of the main attractions in Windhoek. 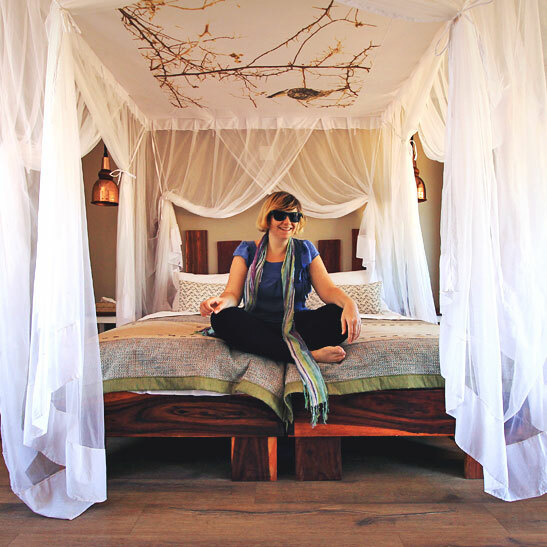 After exploring the Kalahari Desert we stayed a night at the Gondwana Kalahari Anib Lodge, which had the prettiest rooms I've seen in Namibia. 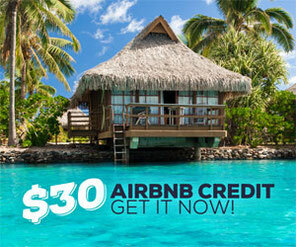 Each bungalow has a nice patio with a swinging chair, facing the garden and the swimming pool. After exploring the dunes in Sossusvlei we headed to Gondwana Namib Desert Lodge, and spent a night there. The surroundings of the hotel are pretty spectacular, right in front of your room you see mountains, tall trees, animals, and sand dunes. The hotel has a pool as well, but I didn't have time for a dip. 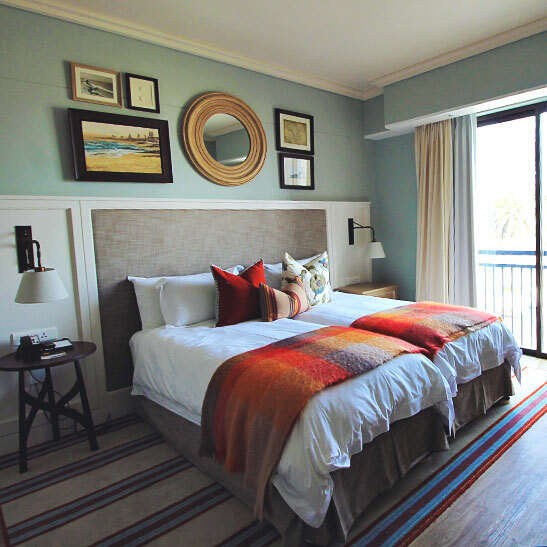 I spent two nights at the relatively new Strand Hotel Swakopmund, which was perfectly located, right on the beach. The rooms are spacious with a beautiful contemporary decor. There is a microbrewery and a beer garden at the hotel, make sure to visit for a beer tasting! For more hotels in Namibia, have a look at Agoda. Have you been to Namibia? A week wasn't enough to see all the breathtaking wonders of Namibia! Needless to say, I must come again! 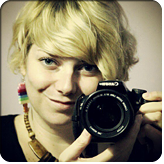 If you have traveled to Namibia before, please tell me about your favorite places! So I get more ideas what I should see next time! 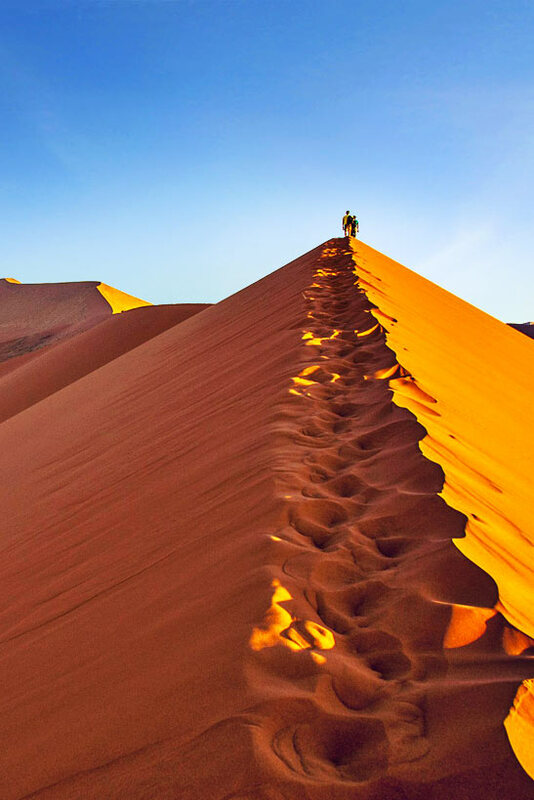 And if you haven't been to Namibia yet, I hope this blog post gave you some inspiration for your next travel destination... Happy travels!! For more detailed infomation and travel updates about Namibia, I recommend to visit Wikitravel Namibia, but also the site of the Namibia Tourism Board. 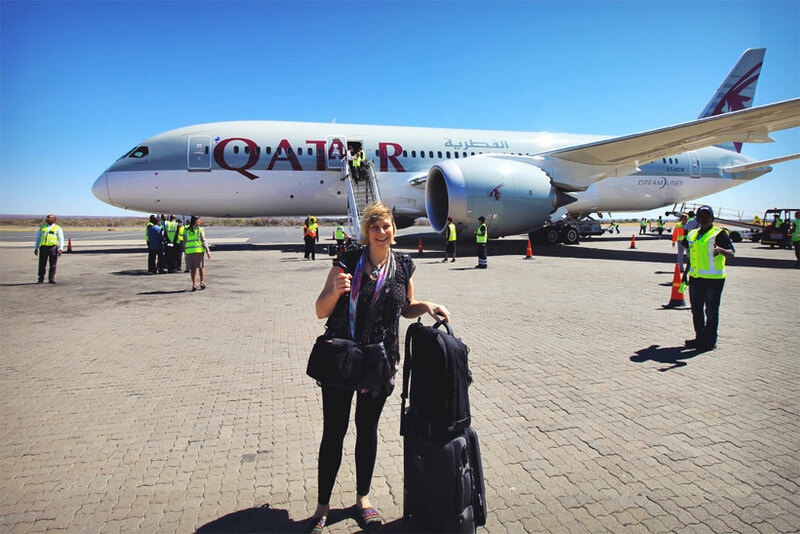 Big thanks to Qatar Airways and Namibia Tourism for making this amazing trip possible!